Synopsis: Soon-to-be-divorced American heiress Ruth Kettering boards the "Blue Train" to the French Riviera with the intention of meeting her lover there. Before the train arrives at its destination, however, Ruth is murdered and the famous "Heart of Fire" ruby she brought on board with her is missing. Retired detective Hercule Poirot, who happened to be a passenger on the train, is hired by Ruth's father to help with the investigation and must determine whether her death was a random murder conducted by train robbers or if it was pre-planned by either her lover (a suspected jewel thief) or her estranged husband. Review: After my disappointment with The Big Four, I was a little hesitant to start another Agatha Christie novel right away and briefly considered moving on to something else for a while. However, I saw our local library had a copy of this book (albeit in large print form) and, since I didn't have to spend money to read it on Kindle, I decided to give it a try. As it turns out, out of the five Christie novels I've read so far, this one is right at the top of my favorites. This book is somewhat unique when compared to the other Poirot-centered novels I've read. The previous Poirot stories were told from a first-person perspective (usually by whoever was assisting him at the time). This one was told from a third-person point of view, allowing the readers to listen in on conversations between the other characters. My opinion about this was a bit mixed. On one hand, it did open the story up a lot more than it would have if we were only witnessing things through the eyes of one person. Plus, it gave some of the secondary characters a little more depth. This, in my opinion at least, did make the book a lot more enjoyable to read. My only complaint about that format, however, is I do think it made the murder mystery a little easier to solve. In fact, I was able to name Ruth's killer about halfway through the book, long before there was any evidence pointing to that person, simply by eliminating the other suspects based on their private conversations. 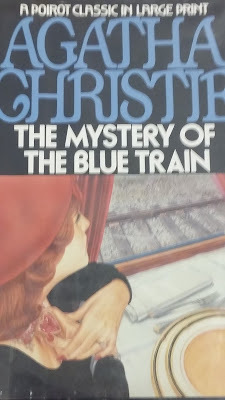 Fortunately, Christie did compensate for this a bit by throwing in an added accomplice and keeping the motive just vague enough to keep me reading until the very end. Final Opinion: The murder mystery was a little too easy to solve. However, the memorable characters and the overall story were entertaining enough to still allow me to enjoy reading the book. I would recommend it as a result of that.